Our world-class technology makes sure that your retreaded tyres perform just like new. Give your fleet the edge with our advanced pretread design. Our superior compound offers excellent all-terrain grip and lower rolling resistance while reducing cost per km. Get the perfect pretread pattern for better fuel efficiency and higher mileage. With a stronger casing and a specialised tread pattern, reduce turn-around-time and repair expenses. 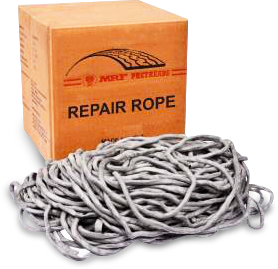 Purchase all the necessary equipment for pretread tyre repair. Our advanced bonding gum, repair ropes, and tyre patches help repair tyres in a jiffy! © Copyright 2017 MRF Pretreads. All Rights Reserved.